The last time I was in New York it was February and absolutely freezing!!! With Australia weight clothing I was so cold the whole time. One Baltic afternoon Adam and I found ourselves in the back streets of Soho and stumbled across a small cafe which was absolutely packed. Always a good sign we went inside and got a great “feed”. It was anything but posh and very cheap but fantastic. We both had a bowl of chili which gave us a warm glow and smile on our faces before we headed back out into the snow. 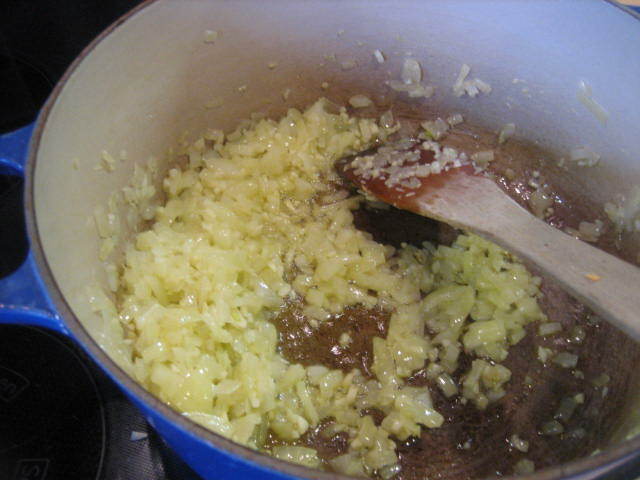 Dice onions and finely chop garlic, pop in a heavy based pot and saute until soft and sweet in olive oil with a large pinch of salt. Finely dice celery and carrots and add to the pot. Saute carrots and celery for about 5 mins then add in diced red pepper. Add 3 tablespoons of cummin, 1 tablespoon of oregano and 1 tablespoon of paprika. 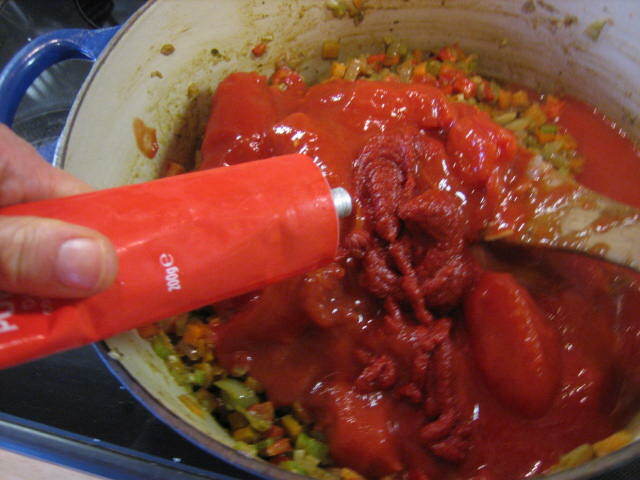 Add tinned tomatoes and approx 2 tablespoons of tomato puree. 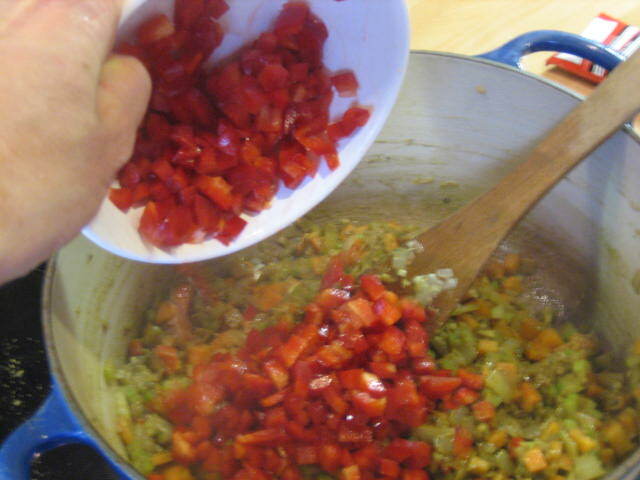 Bring to the boil and then reduce heat to low/medium and simmer. 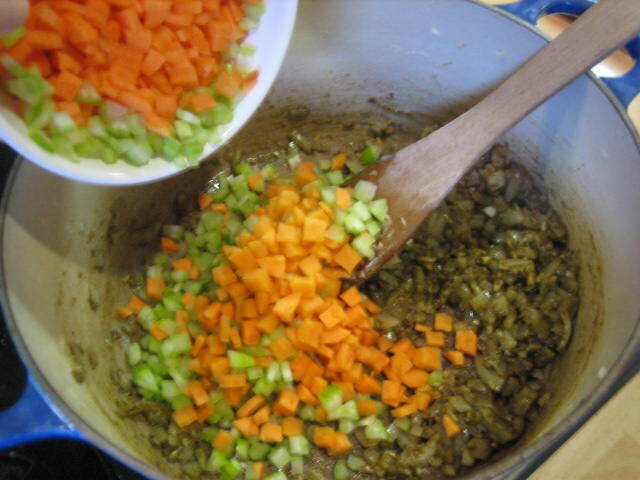 Cook until carrots and celery are soft and the tomatoes have broken down into a thick tasty sauce. 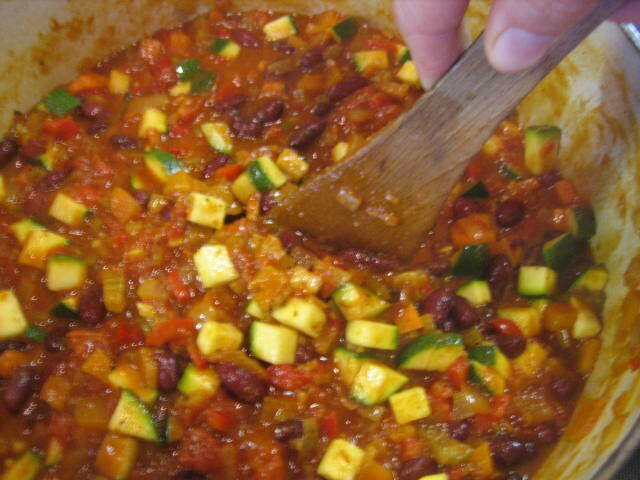 At this stage add in the kidney beans making sure you have rinsed them well and diced courgettes (in 1 cm cubes). 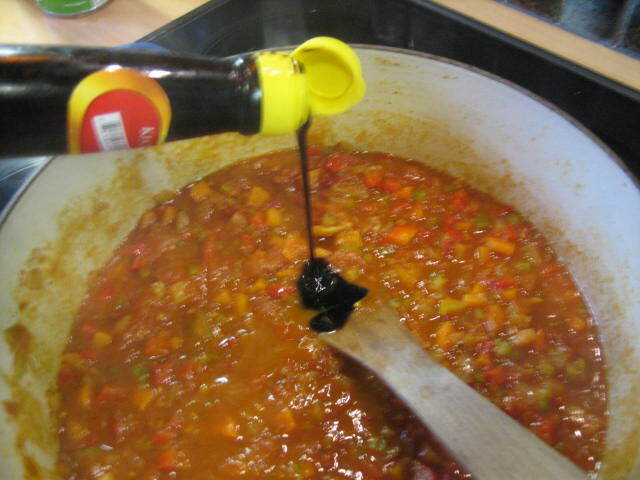 Add in about 1 tablespoon of Kecap Manis (optional). 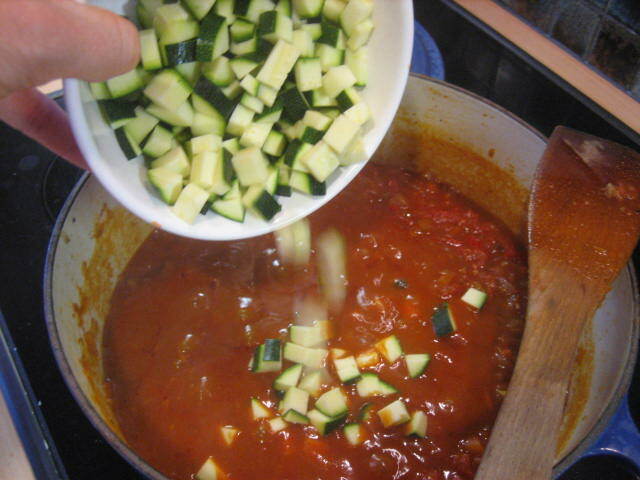 Cook for a further 10 – 15 mins or until courgettes are tender. Season to taste and serve with brown rice, topped with diced raw red onion and grated cheese (sounds weird but trust me it tastes GREAT). You can also add in aubergine which gives the chili a really lovely texture/flavour. Dice the aubergine and add to the pot along with the carrots and celery.